High 5 Moment: High 5 Casino’s Month In Review for January 2019! High-5ers kicked off 2019’s HIGH 5 MOMENTS! 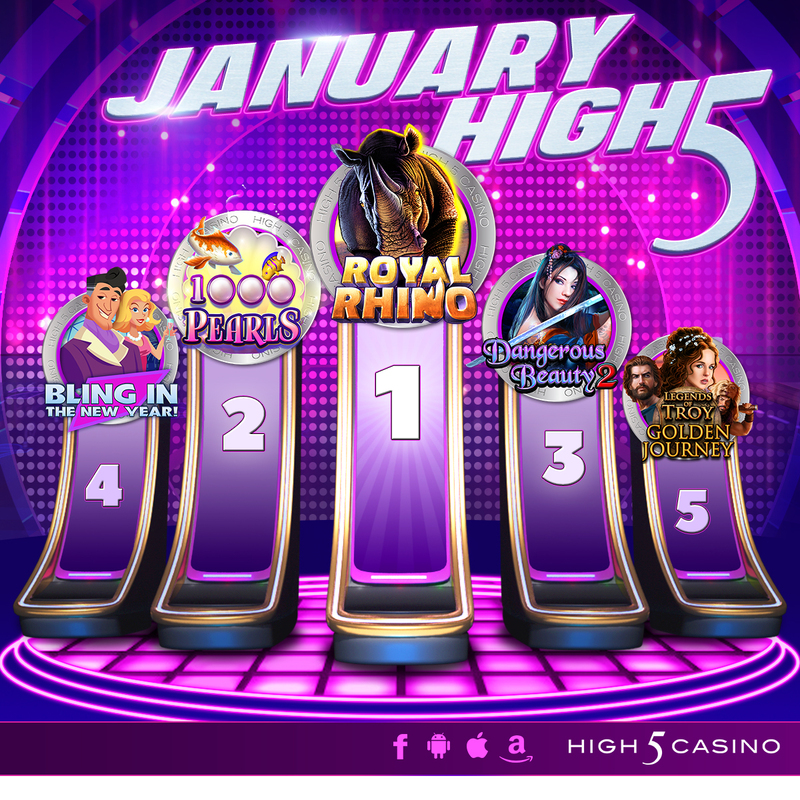 High 5 Casino rang in the New Year, enjoying the first month of 2019 with FIVE new games! As of January, H5C released 291slot games, including Royal Rhino, Dangerous Beauty 2, 1000 Pearls, Legends of Troy: Golden Journey, and When Pigs Fly 2: Bringing Home The Bacon. Each new game was followed by a weekend-long XP event. Featuring an XP boost in selected theme games, you took advantage in leveling up faster while playing during the Royal Court XP, Femme Fatale XP, Submerging Spins XP, Fortune and Glory XP, and Chinese New Year XP! H5C also introduced players a brand new way to enjoy Challenges! When players can click on the QUEST button in their casino lobby to see what Challenges are waiting for them in their Quest Center! BUT WAIT! YOU CAN DO MORE! Now, players can request a new Challenge inside the Quest Center when they click on the PLUS sign! Have you tried it out yet? Players also rang in the Chinese New Year and the month of February with the Chinese New Year XP! Starting on Thursday, January 31st, players enjoyed not only a brand new game but also started enjoying a 5XP boost in Wild Horses, Golden Sheep, Temple of the Golden Monkey, Lucky Rooster, and Lucky Pug! On Tuesday, February 5th, we celebrated the Year of the Pig with 5XP in When Pigs Fly 2: Bringing Home the Bacon! Which game gave you your High 5 Moment in January? What did you enjoy most about High 5 Casino last month? Comment in the conversation bubble located on the top right corner of your screen and let us know! Discover a cove of aquatic treasure! Beautiful creatures share the majestic depths of the blue sea with some of the ocean’s dazzling treasures. Dive into your aquatic adventure for pearls and meet the ocean’s friendly inhabitants. Watch as they swim around you in a winning wonder while you explore the underwater oasis and all of the treasures it has to offer! 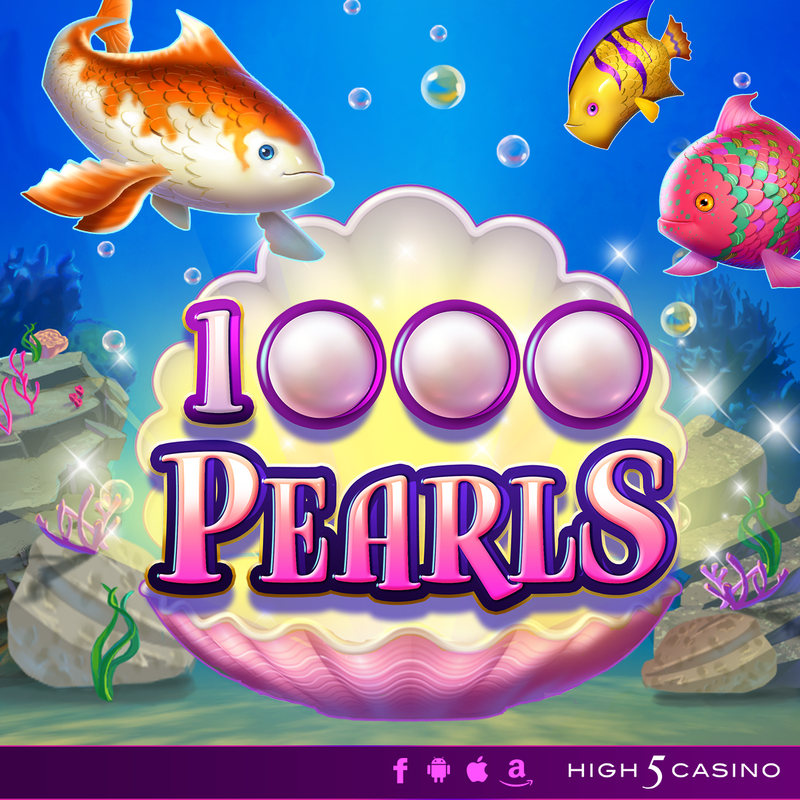 Start your underwater adventure in 1000 Pearls! Scuba through 243 Ways to Win and the Bonus Select to discover underwater treasures! Comment in the conversation bubble located on the top right corner of your screen and let us know what you think!